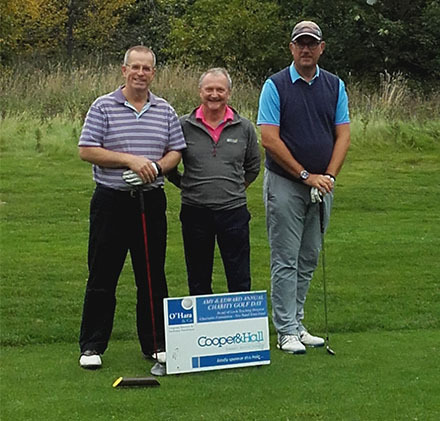 Cooper & Hall took part in a golf day to support neonatal services in Leeds. C&H Director Graham Hall and his playing partners were among 15 teams who teed off in a friendly contest to raise money for the Leeds Neonatal Service Trust Fund. O’Haras Ltd sponsored the golf day at Oulton Hall in Leeds, followed by a night of fundraising.